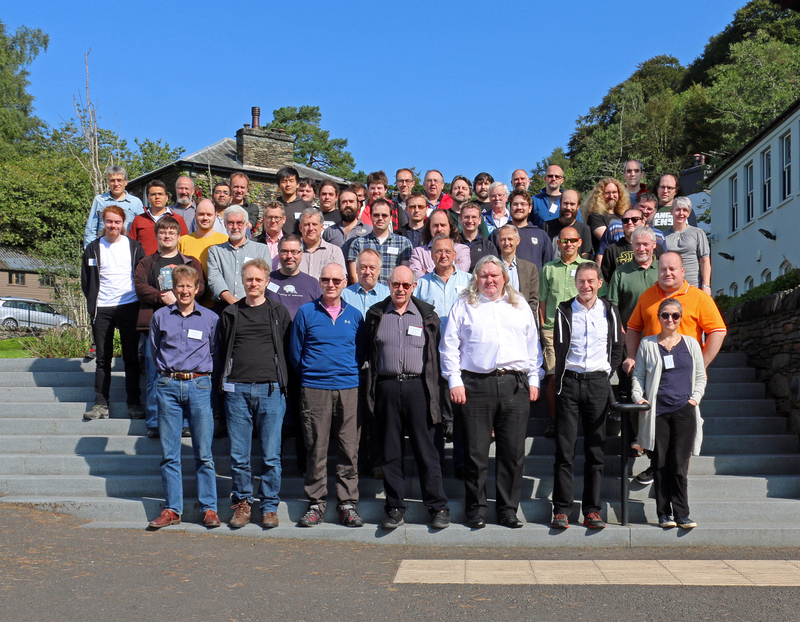 The Collaboration Meeting Starts on Wednesday 29th August at 14:00 till Friday 31st August at 14:00 at the University of Cumbria's Ambleside campus in the Percival Lecture Theatre (Langdale Building). Please advise the reception at check-in if you have reserved a parking space and you will be provided with a permit. Bed & Breakfast is included in the reservation - breakfast is served in The Barn cafe area (7.45-9.00am). Packed lunches have been arranged for Thursday 30th August and these can be collected from outside the Percival Lecture Theatre. The PMB will meet on the afternon of Tuesday 28th August. An informal 'hackathon' will also be avilable on the Tuesday afternoon to workshop some technical topics. LATE ARRIVALS: If you arrive after-hours please report to the campus main reception where security staff will help. If there are no staff present on your arrival use the telephone number provided on the door. WIFI - On campus please use: UOC-Visitor option for wifi with the following - Login: Grid; Password: Langdale41. In the residences please check the communal kitchens for instructions of accessing Glide wifi service. COLLABORATION DINNER: XMA and Boston have generously agreed to sponsor our collaboration dinner at Low Wood Bay Hotel. Please arrive by 7.30pm to be seated for 8.00pm. PLEASE NOTE there are no buses arranged for transport to the Low Wood Bay Hotel - many delegates will be walking, others may wish to arrange shared taxis. Taxi drivers - Home James (015394 82214) or Ambleside Taxis (015394 88285). Personal information captured during the registration process will be deleted at the end of the current financial year. This information will not be passed to any other party or used for any purposes other than directly related to the GridPP41 meeting. By registering you are agreeing to accept these terms. PLEASE NOTE - Bed & Breakfast accommodation will be provided in the Student halls of residence at Fairfield, Wansfell & Helvellyn (all of these are also located on Rydal Road). CHECK-IN will be at Reception in The Barn - No 1 on the campus map: (http://www.cumbria.ac.uk/media/university-of-cumbria-website/content-assets/public/fm/documents/maps/Ambleside-Campus-Map.pdf).